Okay so Battlerite is going FTP and they have sent out people who purchased it on Early Access some Battlerite Lite keys. It gives you 6 characters rather than 1 in the FTP version. I have two codes. Quote to reveal. If you claim it, please let others know! Thanks. Both codes taken. Only one person knew how to be a nice guy I guess. Dang. Yeah... I really wish there was some system that could alleviate that besides DMing someone. Will second using Modbot. It's super simple and keeps lurkers/bots away. Oh whoops totally forgot about Modbot. I'll definitely do that next time then! Thanks for the heads up. Instructions for participants:I am giving away 2 Steam keys. To enter this giveaway, send a PM to ModBot with any subject line. In the body, copy and paste the entire line from the message below that corresponds to the game you want. (if you include more than one game, you will be blocked from entering). Confused? Watch this GIF tutorial or ask for help. Want to make your own ModBot giveaway? Click here for a quick tutorial thread. Please give generously. - I really appreciate thank you messages, but please send them to me (Fenrisulvur, not ModBot!) via PM instead of in thread. - Do not trade keys you win off-site to enrich yourself. Don't try to claim games you have no interest in collecting or playing. Don't claim games to give them to friends off-site. - If the key is already taken you will not receive a reply. Replies may take a minute or two. Banner Saga 2 -- MB-ADE31E3BDB486B03 - Taken by Arjac. 14 entrants total. Momodora: Reverie Under the Moonlight -- MB-9B2C432C4F3669B8 - Taken by Smeagol. 15 entrants total. Press the quote button to the left of this PM, select the quoted text, copy, and paste in the thread. You can remove these lines from the version you paste. I am giving away a Steam key. To enter this giveaway, send a PM to ModBot with any subject line. In the body, copy and paste the entire line from the message below containing the game you want to enter for. Confused? Watch this GIF tutorial or ask for help. - I really appreciate thank you messages, but please send them to me (mysticllama, not ModBot!) via PM instead of in thread. Did you even read the title of this topic? I am giving away 9 Steam keys. To enter this giveaway, send a PM to ModBot with any subject line. In the body, copy and paste the entire line from the message below that corresponds to the game you want. (if you include more than one game, you will be blocked from entering). Confused? Watch this GIF tutorial or ask for help. - I really appreciate thank you messages, but please send them to me (fudgey_lumpkins, not ModBot!) via PM instead of in thread. 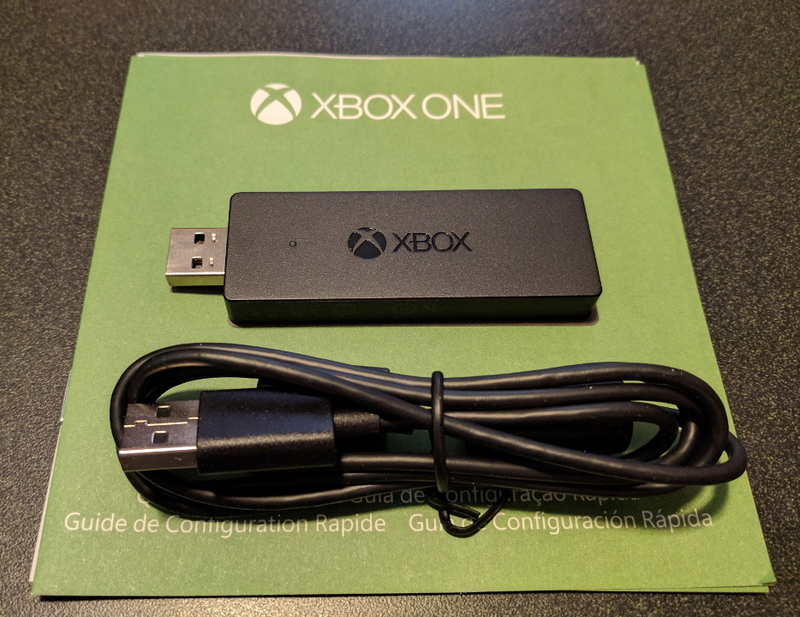 First person (with a US shipping address) to quote this post will be shipped this Xbox One Wireless Adapter for Windows. Just PM me the shipping address. Not a mod, just a bot. Thanks to an anonymous benefactor, I am giving away 3 Steam keys. To enter this giveaway, send a PM to ModBot with any subject line. In the body, copy and paste the entire line from the message below that corresponds to the game you want. (if you include more than one game, you will be blocked from entering). Confused? Watch this GIF tutorial or ask for help. - This is a giveaway for the thread url: http://www.neogaf.com/forum/showthread.php?t=460878. - This giveaway has a manual blocklist. The giver has identified members who abuse giveaways and restricted them from participating. Thanks to an anonymous benefactor, I am giving away 4 Steam keys and 2 other items. To enter this giveaway, send a PM to ModBot with any subject line. In the body, copy and paste the entire line from the message below that corresponds to the game you want. (if you include more than one game, you will be blocked from entering). Confused? Watch this GIF tutorial or ask for help. Overlord- -- MB-90513B8502012B8A - Taken by Buzzi. 1 entrants total. Fantasy General(GOG)- -- MB-029DD3DB746875D8 - Taken by spatenfloot. 1 entrants total. Mount and Blade (GOG)- -- MB-20C5377B910BC718 - Taken by Myriadis. 2 entrants total. Visual novels that might have fan service! I am giving away 11 Steam keys. To enter this giveaway, send a PM to ModBot with any subject line. In the body, copy and paste the entire line from the message below that corresponds to the game you want. (if you include more than one game, you will be blocked from entering). Confused? Watch this GIF tutorial or ask for help. - I really appreciate thank you messages, but please send them to me (neonglow, not ModBot!) via PM instead of in thread. - This is a free for all! You can enter for multiple games on the list below. Send an individual PM for each game you'd like to win. Aozora Meikyuu -- MB-CB11F3BCF509F654 - Taken by ussjtrunks. 14 entrants total. Cyber City 2157: The Visual Novel -- MB-960027020F886B06 - Taken by rainking187. 1 entrants total. Go! Go! Nippon! ~My First Trip to Japan~ -- MB-382BF85ABBE52E21 - Taken by Tonton. 4 entrants total. Impulse! -- MB-5EEAA2B880D9EDDB - Taken by Annubis. 1 entrants total. Last Days of Spring Visual Novel -- MB-8E0B3B09F6495165 - Taken by abelasabel. 2 entrants total. Sakura Angels -- MB-C5FFF2030E7381D5 - Taken by Dragon1893. 5 entrants total. Sakura Beach -- MB-C97674B652AEC083 - Taken by neoxdonut. 6 entrants total. Sakura Beach 2 -- MB-17D0C1ABB1DF1FBE - Taken by Mike Bison. 8 entrants total. Sakura Spirit -- MB-24CC66ADB39F191B - Taken by fuzzy123. 4 entrants total. Serafina's Crown -- MB-53955021CB16F9E9 - Taken by bobnowhere. 2 entrants total. Sword of Asumi -- MB-9445233E4E6FC44E - Taken by ShinUltramanJ. 2 entrants total. I am giving away 29 Steam keys. To enter this giveaway, send a PM to ModBot with any subject line. In the body, copy and paste the entire line from the message below that corresponds to the game you want. (if you include more than one game, you will be blocked from entering). Confused? Watch this GIF tutorial or ask for help. - I really appreciate thank you messages, but please send them to me (Myriadis, not ModBot!) via PM instead of in thread. 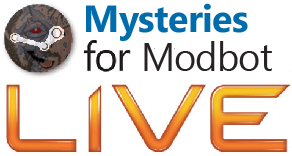 - If you won a game from ModBot in the last day, you are not eligible for this giveaway. Massive Chalice -- MB-85C3DC39E9862CF4 - Taken by Remk. 11 entrants total. 2064: Read Only Memories -- MB-1A9239D66FB20B34 - Taken by xenoflux2113. 1 entrants total. Attractio -- MB-C4D2A956F839359D - Taken by Smeagol. 2 entrants total. BASEBALL STARS 2 -- MB-A32266BAEE466BDA - Taken by BlazeHedgehog. 1 entrants total. Beholder -- MB-62B7F06B4885A821 - Taken by neonglow. 4 entrants total. Broken Age -- MB-919C23C756F81D22 - Taken by Vashetti. 6 entrants total. Cibele -- MB-B3515D93A63E8C48 - Taken by BorntoPlay. 2 entrants total. DEADBOLT -- MB-8E55EA3F2CB42E3A - Taken by sadblob. 7 entrants total. Dangerous Golf -- MB-6C295FC96E1F6768 - Taken by rafa. 3 entrants total. Day of the Tentacle Remastered -- MB-7821EA1598830F8E - Taken by Evon. 6 entrants total. Devil Daggers -- MB-D29E15B741878A4B - Taken by Baron_Calamity. 4 entrants total. Dr. Robotnik's Mean Bean Machine, Sonic 3 & Sonic Spinball -- MB-EC0F0B10F271ADB4 - Taken by GrinningColossus. 5 entrants total. Elegy for a Dead World -- MB-D132659FE84E5C5F - Taken by nightstorm. 3 entrants total. Infested Planet -- MB-47FEE7C2AAF4D38E - Taken by spindoctor. 3 entrants total. Killing Floor Community Weapon Pack 2 DLC -- MB-994D09DA7A500200 - Taken by turmoil. 1 entrants total. Punch Club -- MB-E7FBE1B821AFE35A - Taken by JCD. 5 entrants total. Road to Ballhalla -- MB-EC4F5B270AF92B43 - Taken by Tetraeon. 3 entrants total. SHOCK TROOPERS -- MB-5DFA3202CB5D8617 - Taken by bwral12. 6 entrants total. SHOCK TROOPERS 2nd Squad -- MB-44CCBBFAFF942569 - Taken by Snakethesniper. 1 entrants total. THE LAST BLADE -- MB-90A5AAB5E3D9DF7E - Taken by Valahart. 1 entrants total. TWINKLE STAR SPRITES -- MB-A171724BE143AA76 - Taken by Accoun. 2 entrants total. The Mean Greens Plastic Warfare -- MB-2BD4007CC69DDF1F - Taken by anastef. 3 entrants total. Verdun -- MB-C290BDEDC6EDF2E6 - Taken by Madnesslink5. 5 entrants total. Victor Vran -- MB-B6BB4E031DBA7D39 - Taken by kinezu. 5 entrants total. Windward -- MB-C946AA72FA15E2C8 - Taken by Belgarion. 2 entrants total. So I tried ModBot for myself. A lot of games from Humble Bundle that might be interesting but I don't have enough time for them. Unfortunately I clicked on the redeem button but none of them are actually redeemed on steam so it should work for you. - I really appreciate thank you messages, but please send them to me (Ludens, not ModBot!) via PM instead of in thread. Found another batch of codes. Enjoy! I am giving away 10 Steam keys. To enter this giveaway, send a PM to ModBot with any subject line. In the body, copy and paste the entire line from the message below that corresponds to the game you want. (if you include more than one game, you will be blocked from entering). Confused? Watch this GIF tutorial or ask for help. Another World -- MB-61744ACA5AA901FC - Taken by Loptous. 6 entrants total. Dustforce -- MB-ECE82A6081FA617B - Taken by fuzzy123. 3 entrants total. Lethal League -- MB-8A4E000A28A8EE24 - Taken by kinezu. 5 entrants total. Lethal League #2 -- MB-8A45F1CBDB716305 - Taken by damolii. 4 entrants total. Luxor Evolved -- MB-2245E170E35926DE - Taken by valentine71. 3 entrants total. Rise of the Triad -- MB-EBCFAD63C40692DF - Taken by Tetraeon. 3 entrants total. Robinson Crusoe and the Cursed Pirates -- MB-21ECB02CD9DCDA8E - Taken by Megauap. 1 entrants total. Robot Roller-Derby Disco Dodgeball -- MB-FE71058D84140EC8 - Taken by lazerfox. 2 entrants total. We Are The Dwarves -- MB-F44002D040D61B04 - Taken by Ludens. 10 entrants total. So apparently I have an extra Steam key for A Story About My Uncle that I got from a Humble Bundle. Unfortunately since I already own it they wouldn't directly give me the key. Quote this post for a link to the gift page where you can put in an email address and have Humble send it to you. Please post as soon as you claim it so I don't get in trouble for multiple people trying to redeem, lol. So apparently I have an extra Steam key for A Story About My Uncle that I got from a Humble Bundle. Unfortunately since I already own it they wouldn't directly give me the key. Quote this post for a link to the gift page where you can put in an email address and have Humble send it to you. Thank you for your generosity, I've always wanted to play this! Looks like you were beaten by a second, lol. Link removed from the original post. I have an extra Steam Key for NBA 2K17, first person to quote me / message me gets it. This is from one of the previous Humble Bundles, already own it. I have an extra Steam Key for NBA 2K17, first person to quote me / message me gets it. First person with a US shipping address to quote this post will be sent these LEGO Dimensions NFC discs that unlock game content. After you quote the post PM me your shipping info. Live in the US, would love these discs. Ok, these LEGO Dimensions NFC discs are still up for grabs. The first person (who has a US shipping address) to quote this post will be sent these LEGO Dimensions NFC discs that unlock game content. Have a code for the coldheart weapon for destiny 2 on the Xbox one if anyone wants it, DM me. 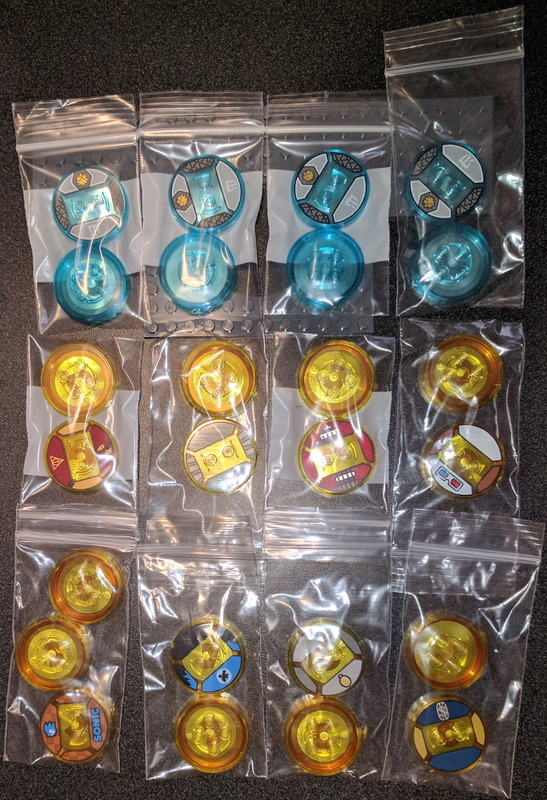 Since they STILL haven't been claimed yet, someone PM me a US shipping address and I'll send these LEGO Dimensions NFC discs that unlock game content. I have codes for warframe 75 platinum. 2 each for ps4/pc/x1. PM me for code and system request. First to PM me gets it. I have a Steam key for Psychonauts if anybody missed it the other day from Humble. First PM gets it. Thanks to an anonymous benefactor, I am giving away a Steam key. To enter this giveaway, send a PM to ModBot with any subject line. In the body, copy and paste the entire line from the message below containing the game you want to enter for. Confused? Watch this GIF tutorial or ask for help. - This is a giveaway for the thread url: http://www.neogaf.com/forum/showthread.php?t=460878[/quote]. Sakura Spirit -- MB-0C7AE71255D7E721 - Taken by T-Rex.. 1 entrants total. If anyone plays Gigantic on Arc and wants a code for a Starter Pack, PM me and I'll send it your way. Free Abe's Oddysee Steam key, quote to reveal! Oxenfree -- MB-520AC42657D48BAC - Taken by GetDigitized. 16 entrants total. Not sure which ones are used or not. Go for it. Thanks for all these but i wish you did with modbot or at least quote thing. Btw, i tried to grab Risen but already used. Giving back to the thread a bit here! Found some old Steam keys for games I already own. I highly recommend Story, it's a short but sweet game. I am giving away 3 Steam keys. To enter this giveaway, send a PM to ModBot with any subject line. In the body, copy and paste the entire line from the message below that corresponds to the game you want. (if you include more than one game, you will be blocked from entering). Confused? Watch this GIF tutorial or ask for help. - I really appreciate thank you messages, but please send them to me (Tetraeon, not ModBot!) via PM instead of in thread. - This giveaway is a raffle. The winners will be selected by random draw 24 hours after the draw was created. Any games not claimed after that point will be given away first come first serve. A Story About My Uncle -- MB-E5C333A5E48A7360 - Taken by mysticllama. 6 entrants total. LIMBO -- MB-5632187D1D311C16 - Taken by iPaul93. 1 entrants total. Tiny and Big in Grandpa's Leftovers -- MB-E9488C4AB3052D48 - Taken by Dangerblade. 3 entrants total. They were all gone 10 mins after the post sadly. - I really appreciate thank you messages, but please send them to me (jennetics, not ModBot!) via PM instead of in thread. Note: You must redeem this Oddworld: Abe's Oddysee key by 10AM Pacific on Thursday, October 5th, 2017! I am giving away 2 Steam keys. To enter this giveaway, send a PM to ModBot with any subject line. In the body, copy and paste the entire line from the message below that corresponds to the game you want. (if you include more than one game, you will be blocked from entering). Confused? Watch this GIF tutorial or ask for help. Outlast: Whistleblower -- MB-326580525ECCBC35 - Taken by Barajas_201. 1 entrants total. Got this code free from Humble Bundle. Enjoy! Note: You must redeem your key by 10AM Pacific on Saturday, October 7th, 2017! Edit: Gave Outlast away outside of this rafffle.